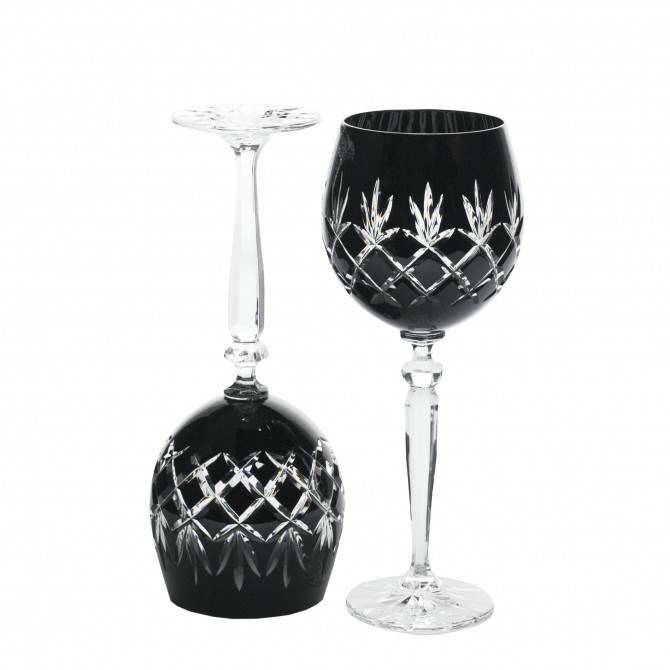 Set of two,four or six tall, fine crystal goblets will make a strong statement on the table. Our artisan's mouth blown the bowl, hand cut and hand paint each piece what results in a brilliance and uniqueness of this superior crystal craftsmanship. Pineapple Luxe is the example of Gurasu’s design aesthetics that take from the past and invite into the present. 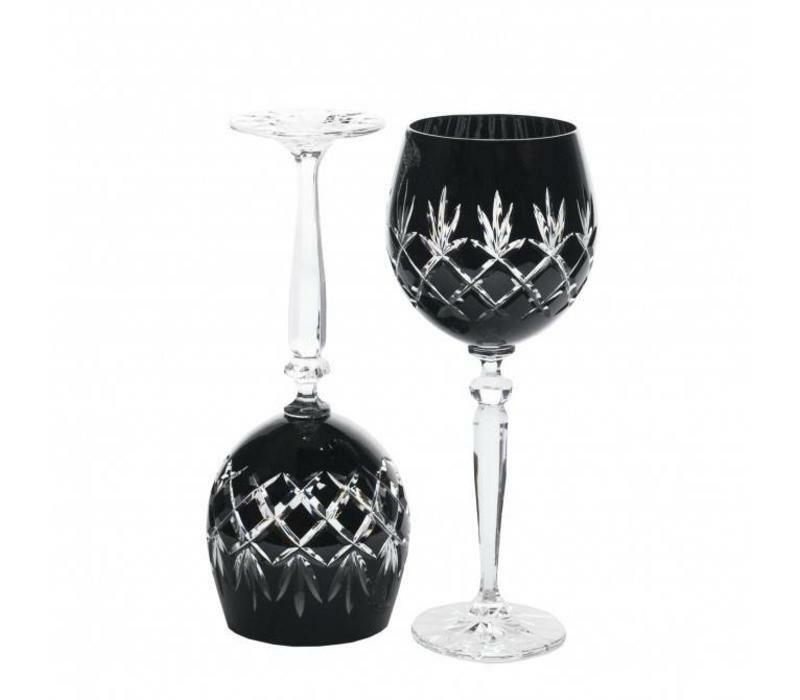 Diamond and wedge cut presented on stemware and barware continue to be handmade in Bohemia of Czech Republic.